Tax revenue is essential to u.s. national development let us and public expenditure in the country and reflected in the state budget. Therefore, the government continues to boost sources of revenue from § taxes. However, in reality there are many taxpayers who do not comply with the tax laws by tax evasion. The research method used in this thesis is verification method with the quantitative approach. The primary data collection was obtained from questionnaires and interviews. The resulting data were analysed descriptively and statistically with Structural Equation Modelling (SEM) analysis method using Partial Least Square (PLS) 2.0. 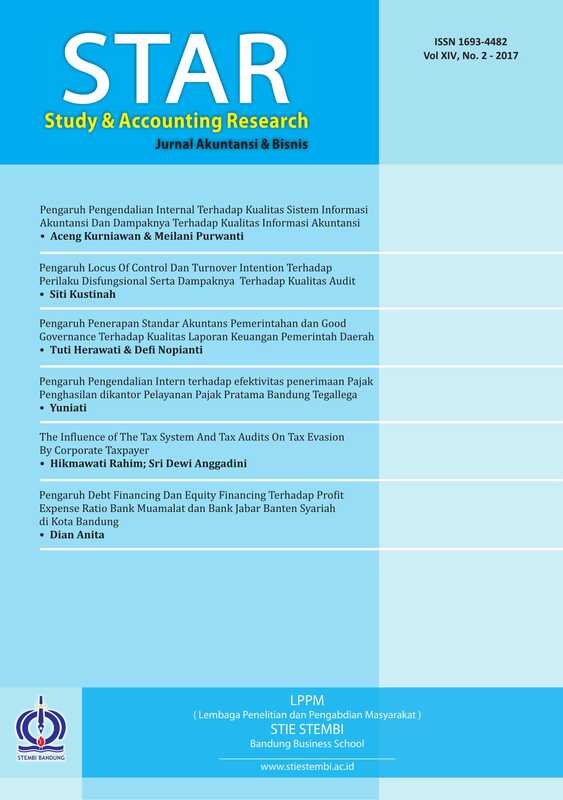 The result shows that a tax system and tax auditing variable have significant negative effect on tax evasion.